Browse the internet for cool new trends and you’re sure to happen across the slime craze! 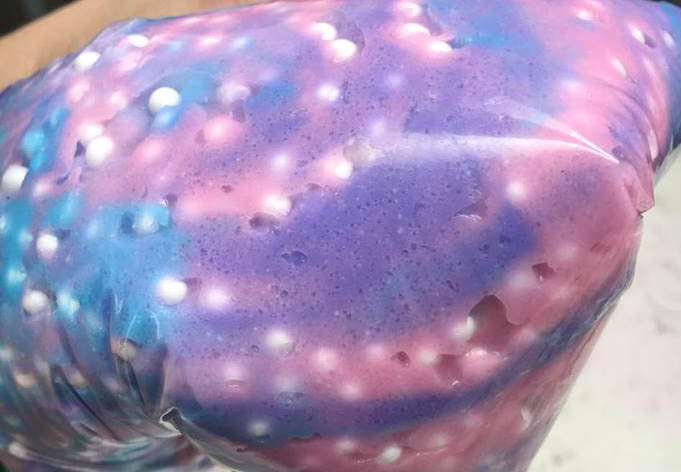 Slime is everywhere, and kids and adults alike are depleting the nation of its simple ingredients to make colorful creations that are strangely satisfying to view. 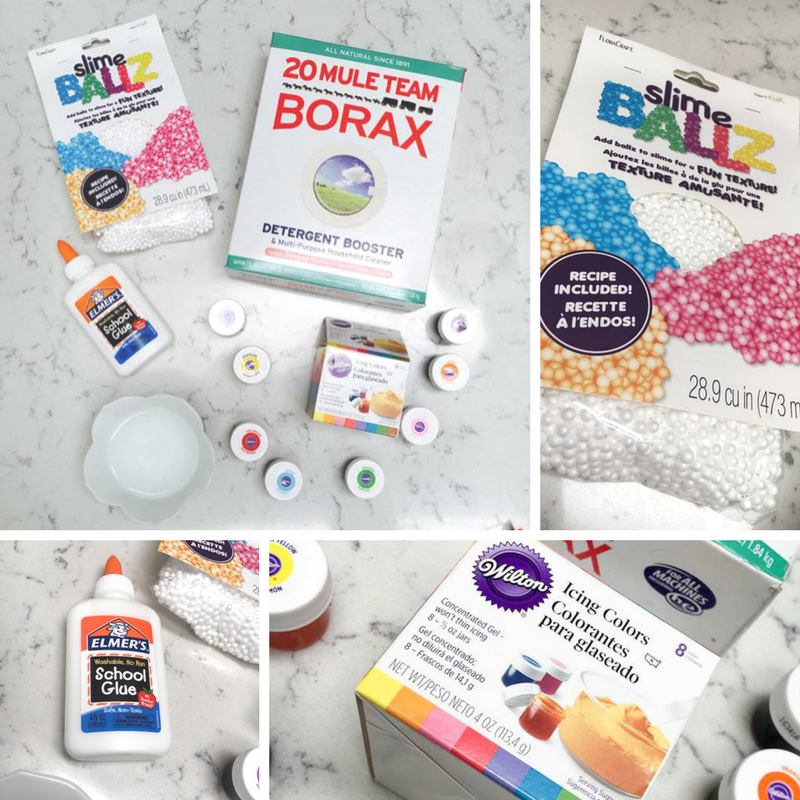 Slime is cool, but what’s even cooler is adding Floracraft Slime Ballz to your mix, (special thanks to FloraCraft for providing mine!). 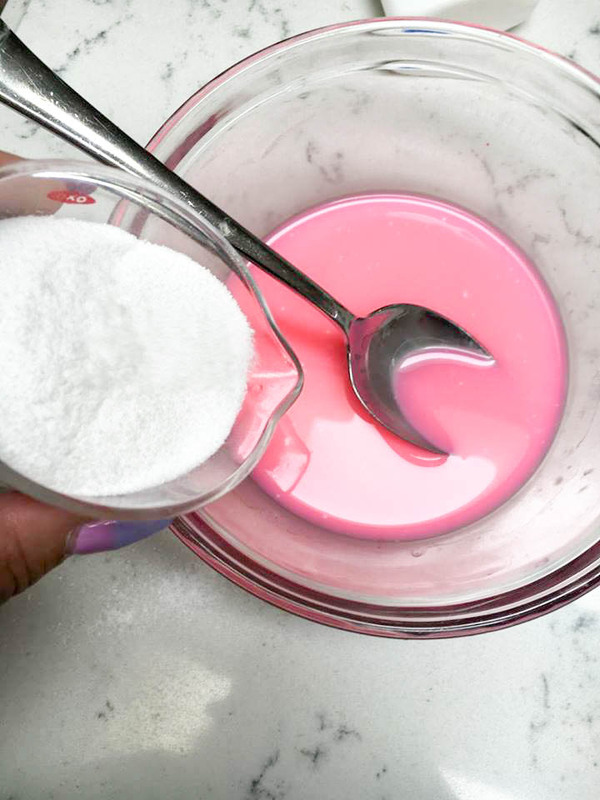 To really take your slime game to the next level, try mixing colors like I did, with this Unicorn Slime recipe. 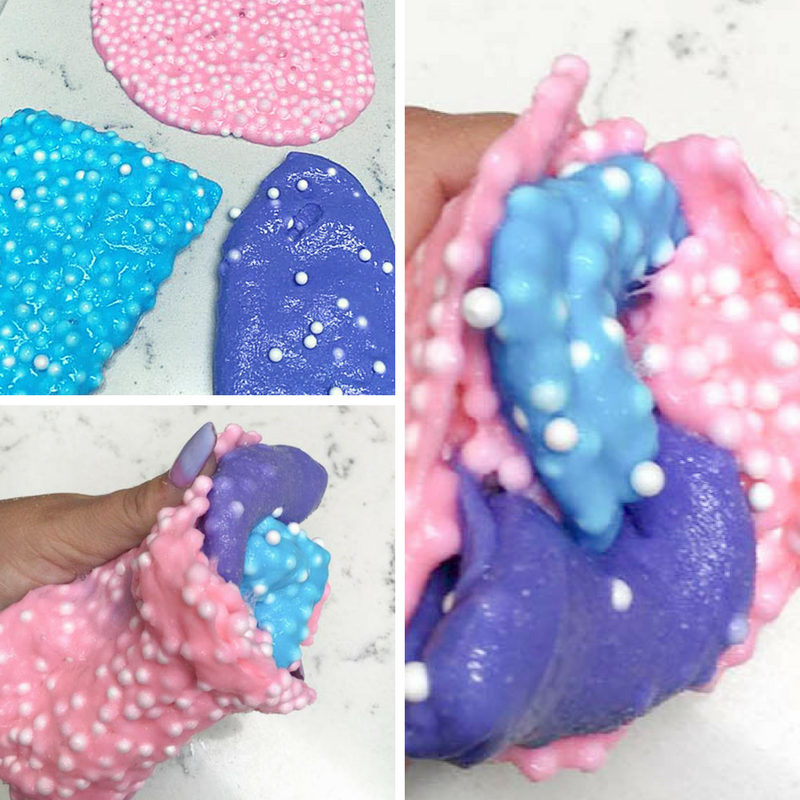 No matter what color combo you choose, slime is easy to make, inexpensive, and above all a FUN and creative craft that’s suitable for all ages! Step 1: Add glue and water to a small mixing bowl and stir to combine. Step 2: Add coloring, if desired. 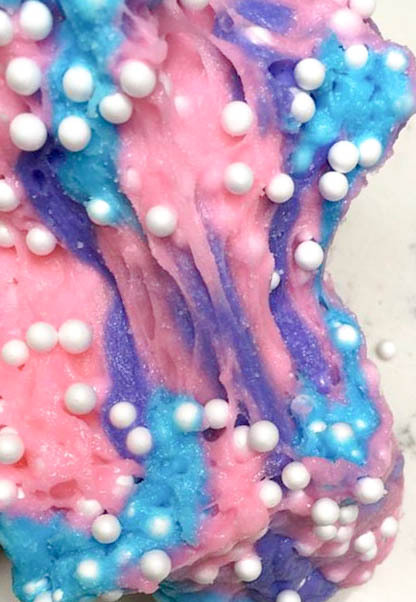 Wilton Gel Icing Colors are a fantastic option for creating vibrant colors that won’t make a mess. In this instance, we selected pink. 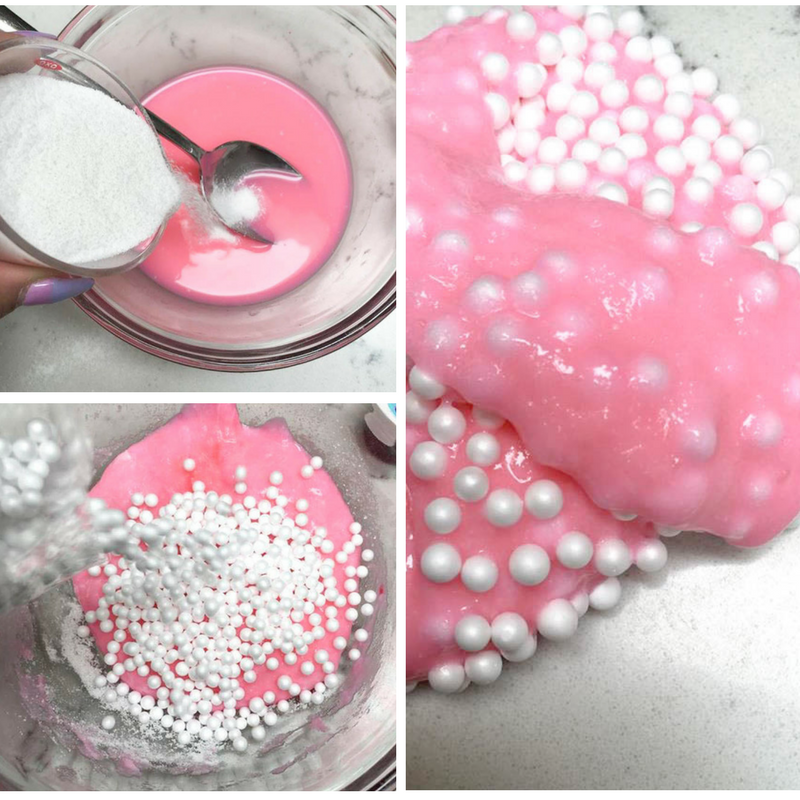 Step 3: Add Slime Ballz to your mixture and stir to coat well. Step 4: Add Borax powder slowly to the mixture. The blend will begin to form slime immediately. Continue stirring until a ball is formed. Step 5: Wearing gloves, knead the mixture until it has fully combined. Step 7: Once all of your slime colors are prepared, wrap them together and roll. Step 8: Knead again, so that the colors begin to swirl together. Stop before the colors fully combine! Isn’t the slime beautiful!? 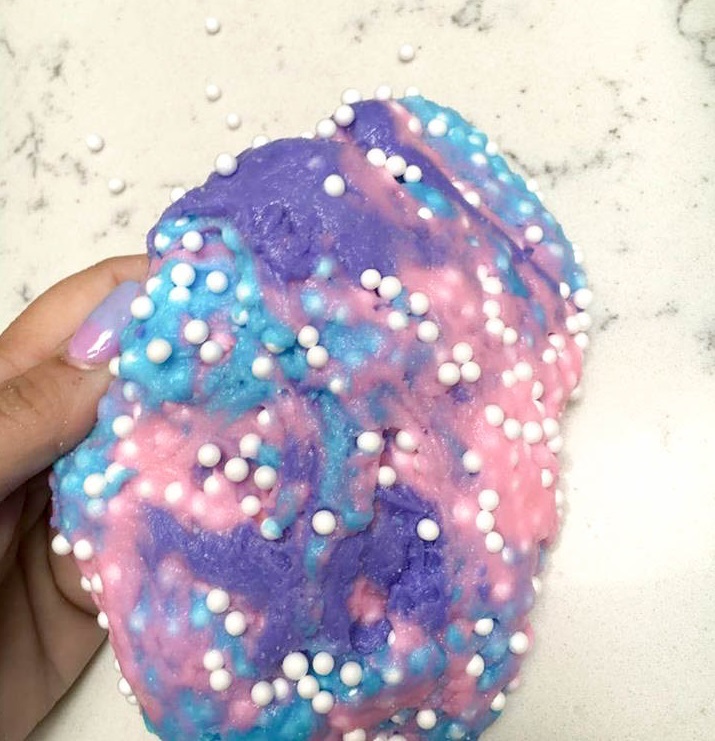 We had so much fun making this, and I love the texture that the Slime Ballz give to it. It’s so much more interesting! 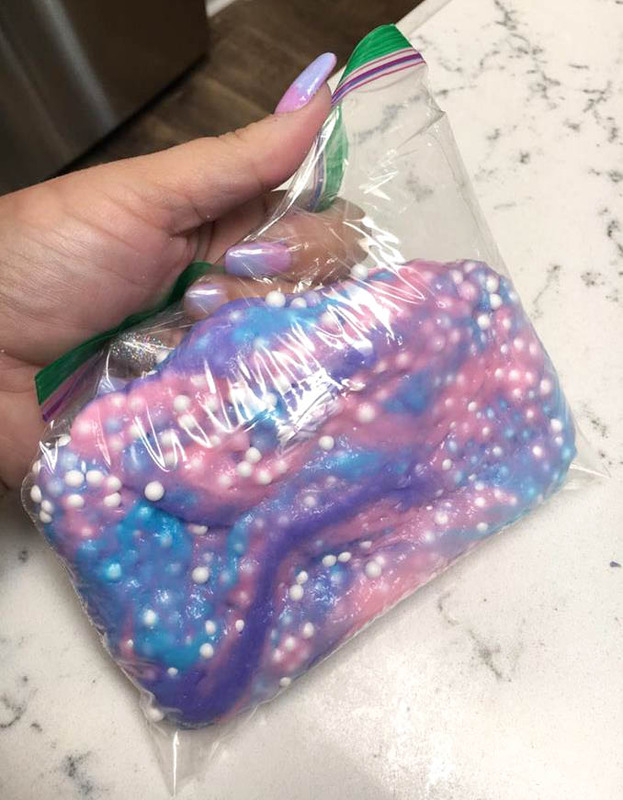 Finished slime can be stored in the refrigerator in a zippered sandwich bag or other airtight plastic container. What color will you make, and what will you name it? Items required for the creation of the project were provided to me for free by FloraCraft, but the opinions and ideas are, as always, my own.